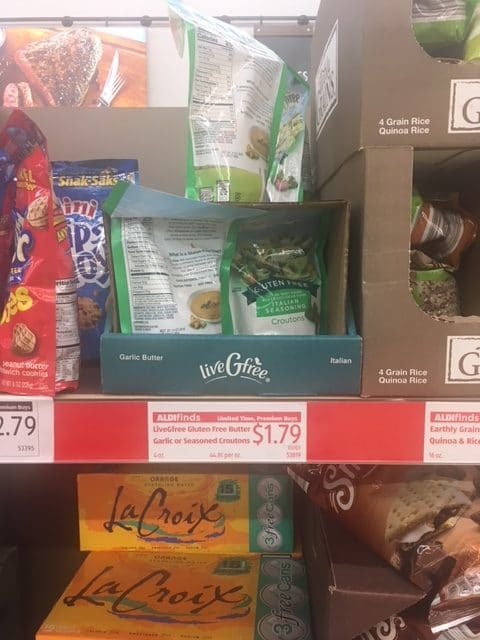 If you or someone you know is gluten-free or has Celiac, Aldi is a great store to stock up on gluten-free essentials for cheap. 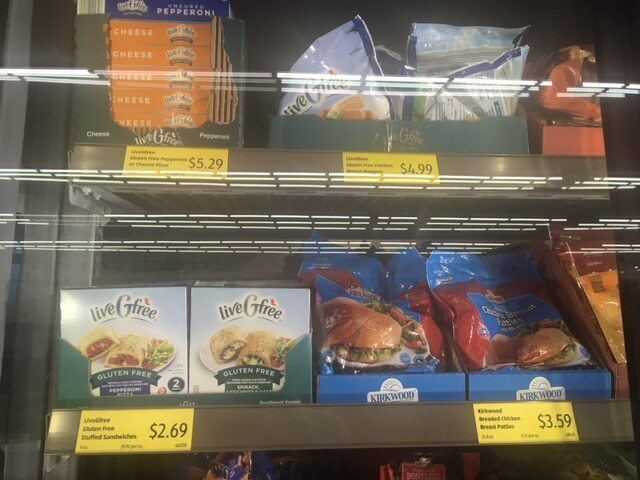 Aldi has their signature line of gluten-free products, LiveGfree. All of their products are now also soy-free, which is great for those with multiple sensitivities or allergies. 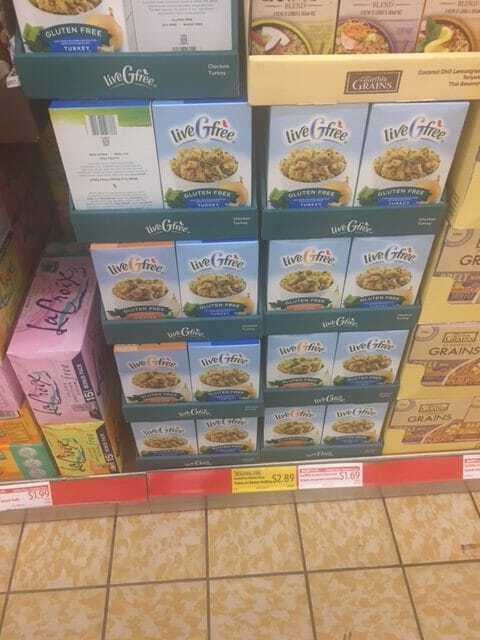 Aldi has some of the best prices seen on several gluten-free products. 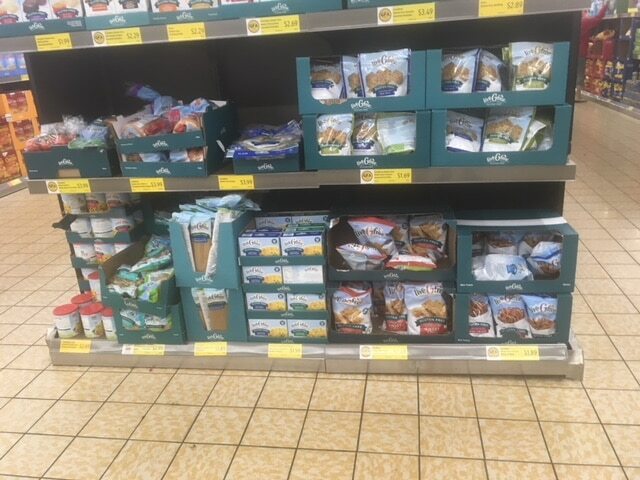 I took a trip to my local Aldi to get an up to date list of their current LiveGfree gluten-free foods. Below you can find the product and price list. 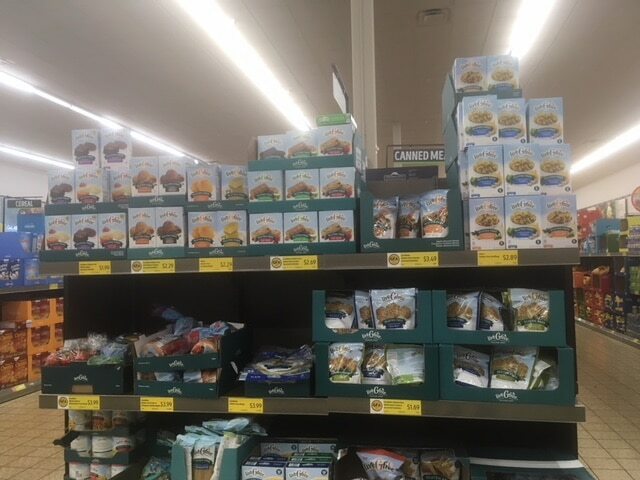 You can also find many naturally gluten-free groceries at Aldi like produce (including organic), meats, seafood, canned goods (beans, tomatoes, vegetables), nuts and more. Looking for more gluten-free coupons and deals?? Go here.